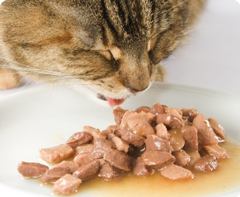 Here at Dovecote Cattery we have both inside and outside housing facilities; both of which have a mixture of single, double and "family" sized chambers. 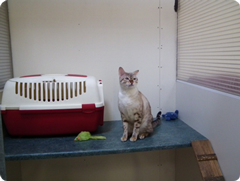 Each chamber has their own cat box style beds, both on the upper and lower levels. The upper and lower levels are accessable via a cat-friendly ladder. 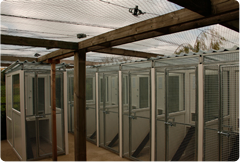 The outdoor facilities are secured within a cemented, meshed area, directly accessable from the indoor area, giving peace of mind for safety from outside predators. 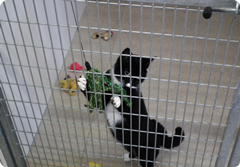 Each cat has their own area for general exercise within their chambers. All chambers are cleaned daily to the highest standards. We welcome viewings prior to booking so please contact us to arrange a time suitable to both parties. For further information, please do not hesitate to contact us.